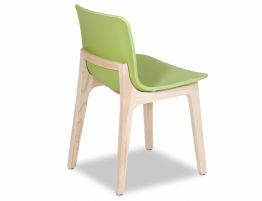 The Ara dining chairs features a green moulded seat nestled upon a light solid ash frame. This mod kitchen chair or dining chair is stylish chair for your modern space. 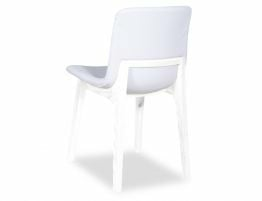 With an ultra mod look and an easy to wipe green plastic seat, this simple, chic dining chair is great for busy dining rooms, growing families or commercial dining spaces where chairs must be easy to clean, chic and durable. 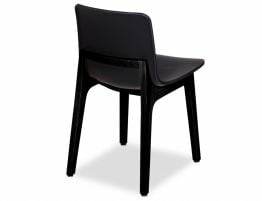 Give your dining room or eat in kitchen an update with these simple, well made modern dining chairs. 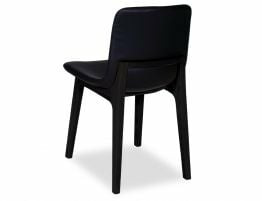 The chair’s moulded plastic seat is ultra-modern and yet, the Ara’s solid ash wood frame affords our mod dining chair a warmth and crafted feel. 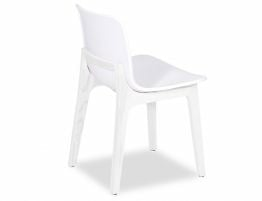 Our contemporary dining chair unites the robust qualities of a plastic chair with the refined good looks of natural wood. 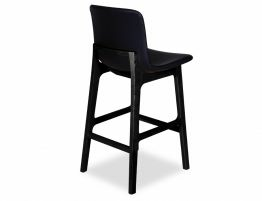 The Ara dining chair’s frame and legs is crafted from solid ash wood offering a characteristic, attractive wood grain. 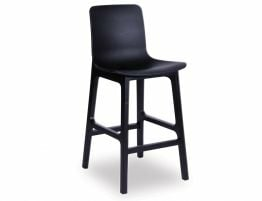 Ash wood is a natural choice for this durable dining chair given its natural resistance to splitting and water decay.